Addison Weening harvested napa cabbage at the University of Vermont’s farm program. SOUTH BURLINGTON, Vt. — Heather Kraemer’s most recent job had been managing a brew pub in Fairbanks, Alaska, 200 miles south of the Arctic Circle. But on this rainy October morning a continent away, she perched confidently in the driver’s seat of a tractor, doing her part as a large patch of rich Vermont soil was harvested near the shores of Lake Champlain. Kraemer, 36, is among two dozen adult students who have made the Catamount Educational Farm a second home for the past six months, nearly all of them embarking on new careers as they learn — literally from the ground up — how to bring about 50 types of fruits and vegetables from seed to market. The program, run by the University of Vermont, is in its eighth year of training people who see 21st-century farming not only as a challenging livelihood, but as a direct way to promote social justice, land access, and environmental stewardship. A student used a tractor to plow a field at UVM's farmer-training program. “I’ve become more into where my food comes from,” said Kevin Jingeleski, 36, a Long Island native who had left behind the dark rooms and video monitors where he produced sports highlights for NBC and Major League Baseball. 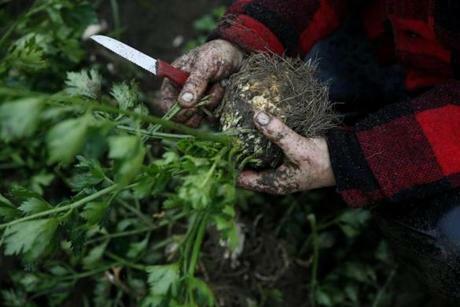 Now, he held a celeriac bulb, taking a mud-speckled knife to trim the gnarled and twisted roots he had just pulled from the soil. S’ra DeSantis, co-director of the program, said the half-year course is the only one of its kind in the Eastern United States, offering a unique combination of hands-on instruction, lectures by university professors and agriculture professionals, and work at nearby farms. From April to October, the students spend full days tending to Catamount, taking notes in a classroom, and working at other farms. Along the way, they break down into teams that rotate through the many, shifting needs at Catamount, a 14-acre farm set among nearly 100 acres used by UVM’s Horticulture Research and Education Center. A student sorted onions at the farm in South Burlington, Vt. The program offers a unique combination of hands-on instruction, lectures, and work at nearby farms. The farm grows staples for 100 members of a local cooperative who pay up-front for a weekly box of produce — potatoes, carrots, butternut squash, and peppers among the offerings — that students prepare and package throughout the season. Tuition for the program is $6,300, finding housing is up to the students, and university course credits aren’t awarded. But graduates leave the program with a grounded, practical idea — instead of a vague, romantic notion — of what the agriculture business is all about, DeSantis said. The students, three-quarters of whom are women, often leave the program with a financial and management plan for their businesses. That could mean starting a small farm, helping prospective farmers find land, working with agricultural nonprofit groups, or even venturing into the restaurant business. The training comes at a time when New England farmland has shrunk dramatically over the last several decades, and the farmers who have stuck it out are getting much older. Rachel Stievater, Co-Director, Catamount Farm Manager and Instructor worked with students to harvest celeriac. “What are we going to do when they give up the ghost? 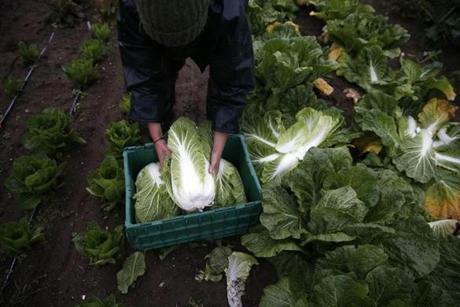 We still need to eat,” said Terence Bradshaw, director of the horticulture center. Vermont, for example, has lost half of its farmland since 1964, with 1.25 million acres in 2012 compared with 2.5 million five decades ago. And as farmland disappears, the future of what remains is uncertain. 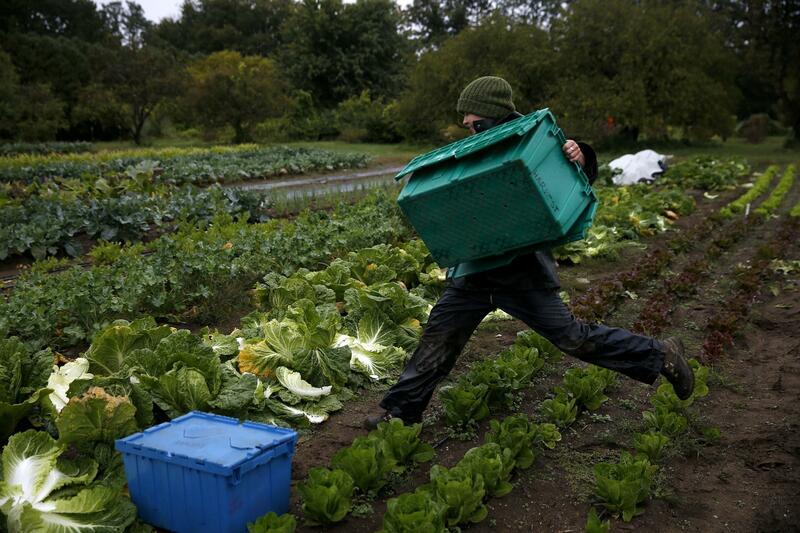 In New England, 30 percent of farmers are 65 or older, and more than 90 percent of those farmers do not have a farm operator, or manager, under 45 years old, said Nathan L’Etoile, New England director of American Farmland Trust, a national advocacy group. 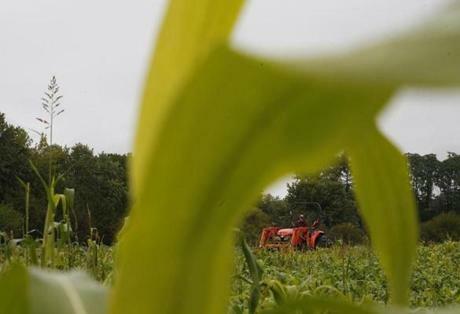 Partly as a result, nearly 30 percent of New England farmers are likely to leave farming in the next 10 years, said L’Etoile, a farmer in Northfield, Mass. The good news, he said, is that the number of small New England farms is expected to increase in coming years in response to growing public interest in the origin and production of food. “Consumers want to know where their food is coming from. They want to know the story behind it. They want to feel good as they eat that apple,” L’Etoile said. That's where graduates from the Catamount Educational Farm could play a role by bringing new energy and deep commitment to social issues. Rachel Stievater, the program’s other co-director, said the goal of a “just food system” is an important part of the philosophy behind Catamount’s curriculum. That mindset resonates with Maddie Lutkewitte, a 27-year-old from Hershey, Pa., who studied finance and accounting at Northeastern University before leaving a global consulting job with IBM. “I always knew I didn’t want to stay in the world of finance and corporate business,” Lutkewitte said. Instead, she wanted a business background to prepare for the next phase of her career: a job that perhaps would blend environmental issues, public policy, and helping people. So, here she found herself — hands dirty, working outdoors, watching the results of her labor grow inch by inch. Lutkewitte is the type of applicant the program looks for — someone who wants to build community through farming. It’s an attitude that motivates Catamount’s work, which for its co-directors is a daily labor of love. “I love growing food to feed the community. 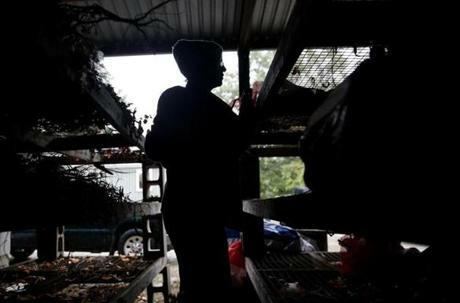 I love getting my hands in the soil,” DeSantis said. And like Kraemer, the erstwhile Alaska brew pub manager, DeSantis loves tractors. The farmer training program is seen as a way to promote social justice, land access, and environmental stewardship.